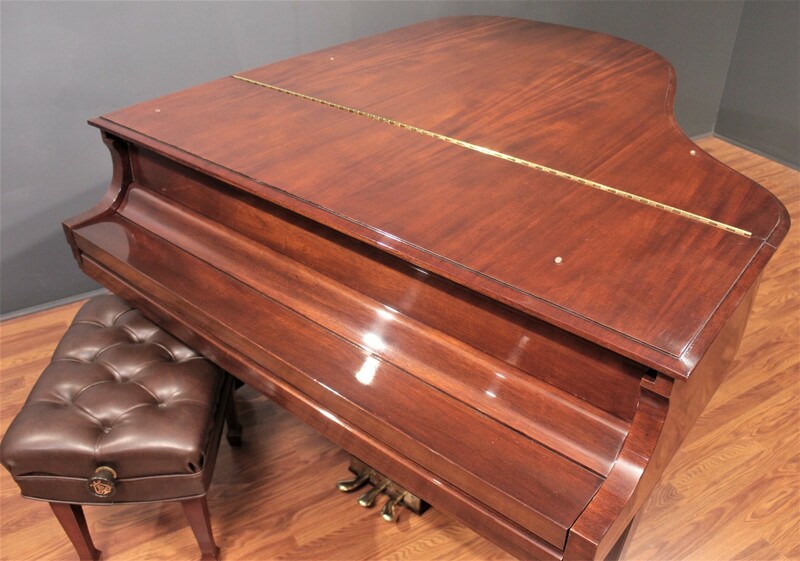 A delightful Steinway Crown Jewel. 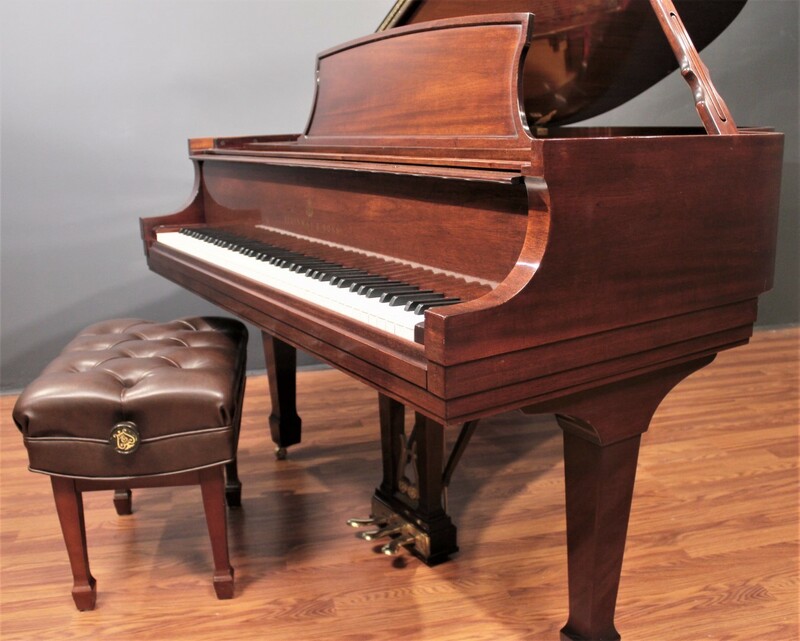 This Steinway Model L 5'10'' Crown Jewel Mahogany grand piano will make a truly unique addition to your home. 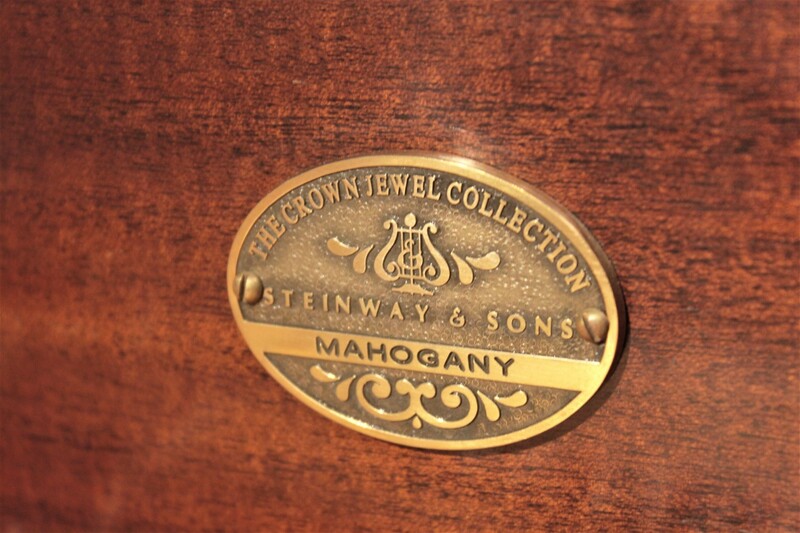 The rich, dark Crown Jewel Mahogany cabinet is in excellent cosmetic condition. 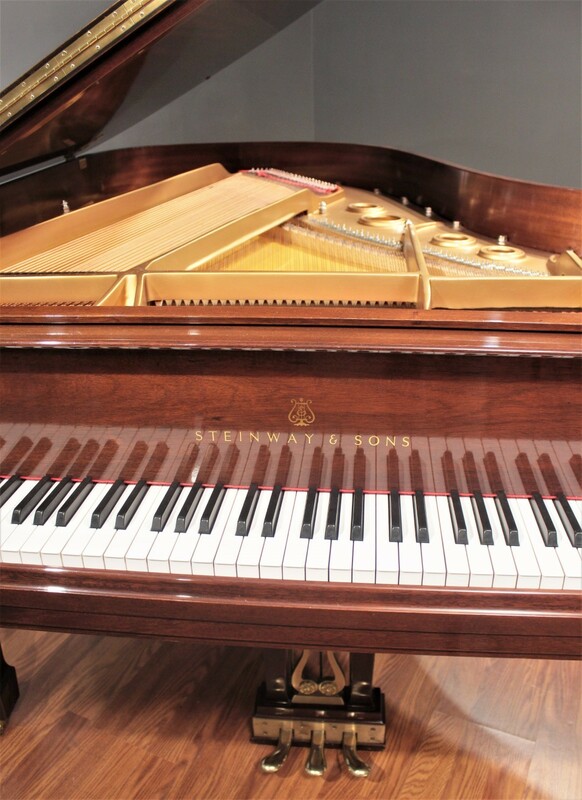 With the comparable new Steinway now selling for over $95,000, you'll undoubtedly appreciate its amazing value. 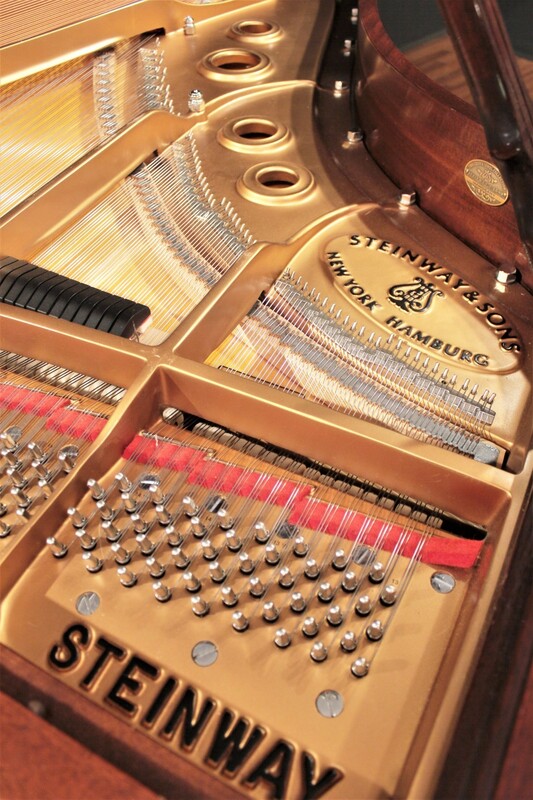 The touch is even and responsive, just like one would expect of a Steinway of such recent vintage. 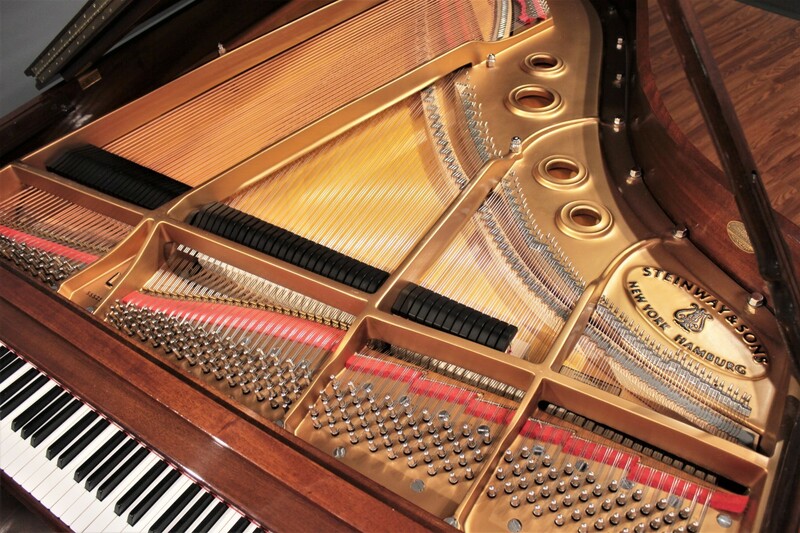 The tone is rich and robust with a surprisingly versatile expressive range. 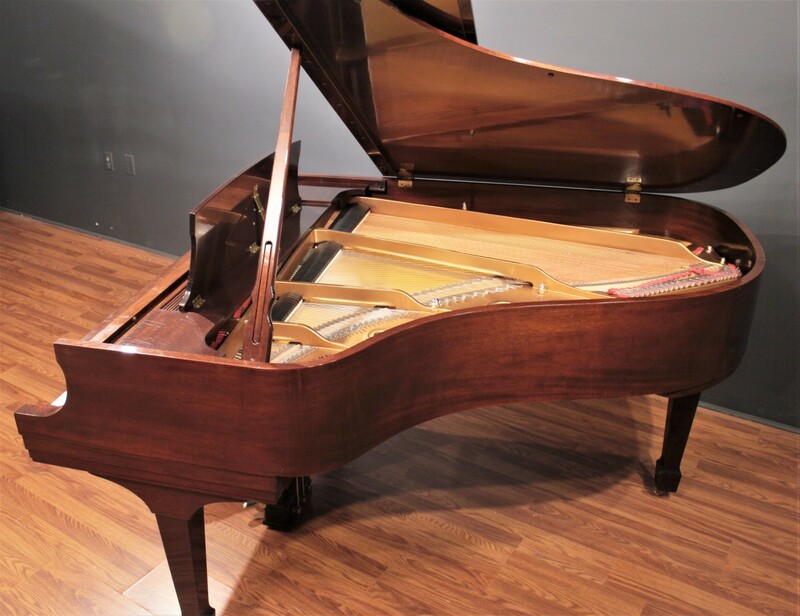 While its natural character is sweet and melodic, the instrument is also capable of producing an impressive amount of power for a piano of its size. 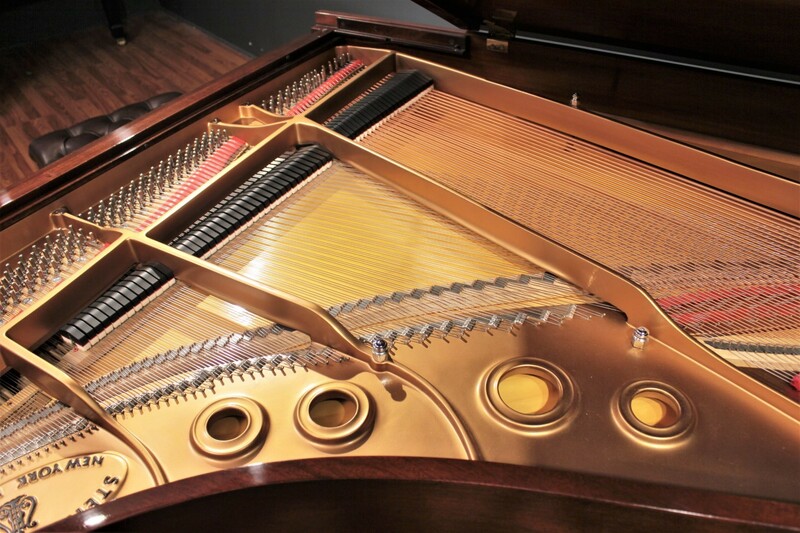 It is a very worthy musical instrument. 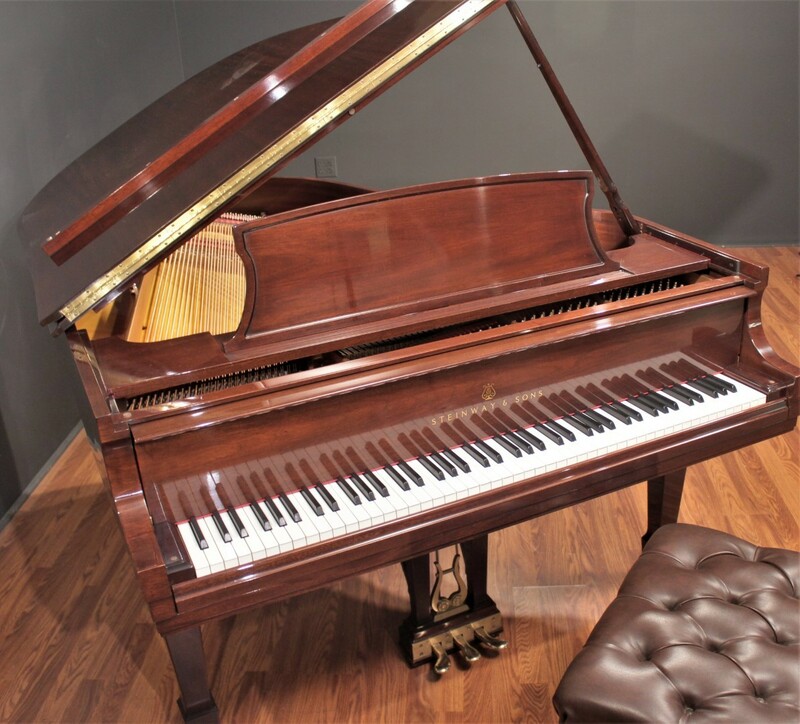 Mahogany varies from golden to deep red-brown in color. 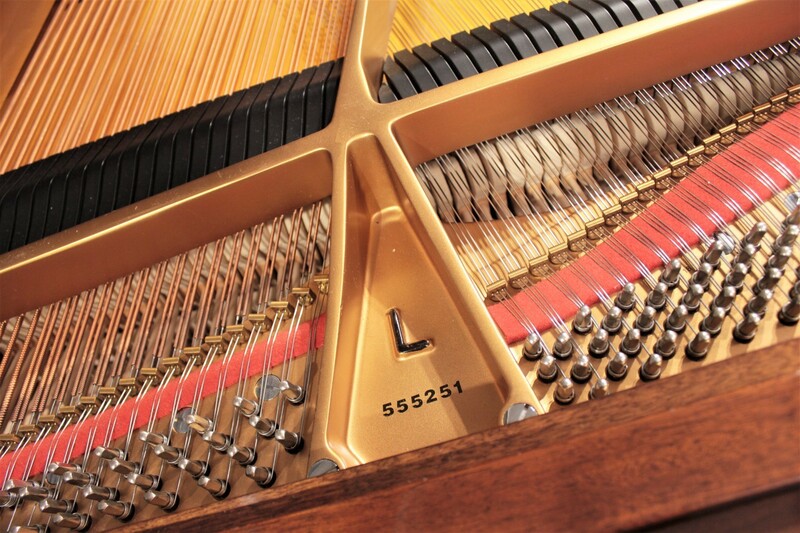 May contain attractive figures such as fiddleback, stripe and mottle. 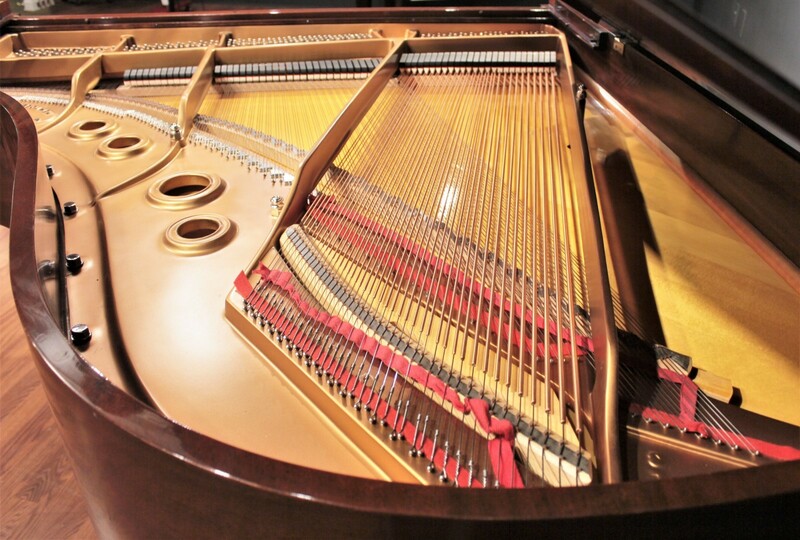 Grown in Central and South America. 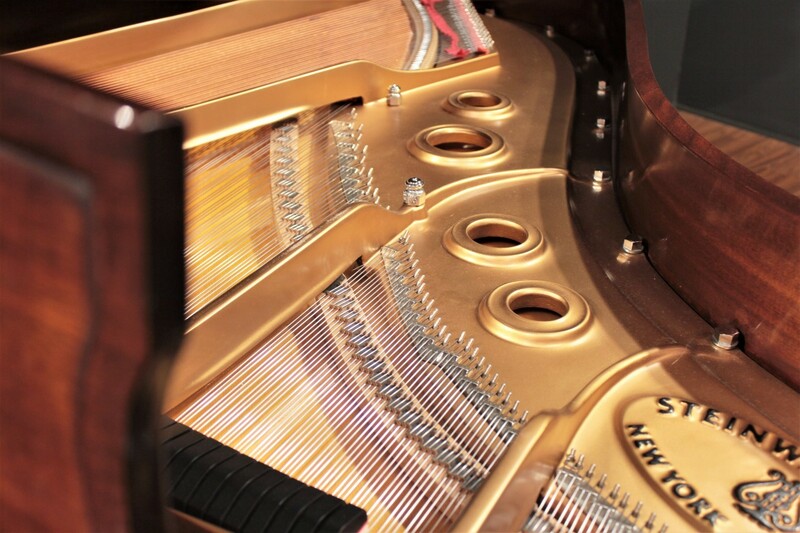 The smallest Steinway concert grand piano offering remarkable depth and resonance yet requires less space than full-sized grands.